Crime, Justice and the Media examines and analyses the relationship between the media and crime, criminals and the criminal justice system. 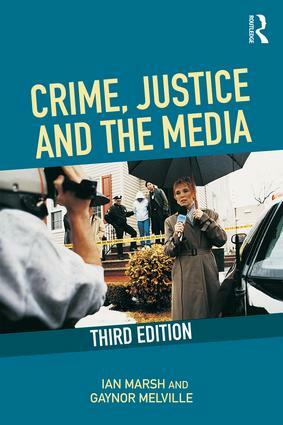 This expanded and fully updated third edition considers how crime and criminals have been portrayed by the media throughout history, applying different theoretical perspectives to the way crime, criminals and justice are reported. It also includes a new chapter that looks at the influence of film and the cinema on crime and justice. how the media represent criminal justice agencies, e.g. the police and prison service. This book offers a clear, accessible and comprehensive analysis of theoretical thinking on the relationship between the media, crime and criminal justice and a detailed examination of how crime, criminals and others involved in the criminal justice process are portrayed by the media. With exercises, questions and further reading in every chapter, this book encourages students to engage with and respond to the material presented, thereby developing a deeper understanding of the links between the media and criminality.